If you want your memories captured by a professional with an artistic background then look no further, Godoy Studios will provide you with lasting memories. Godoy Studios shoots digital photography & video and specializes in High Definition video for Blu-Ray players. Godoy Studios services the areas of Ventura, Santa Barbara, & Los Angeles County. 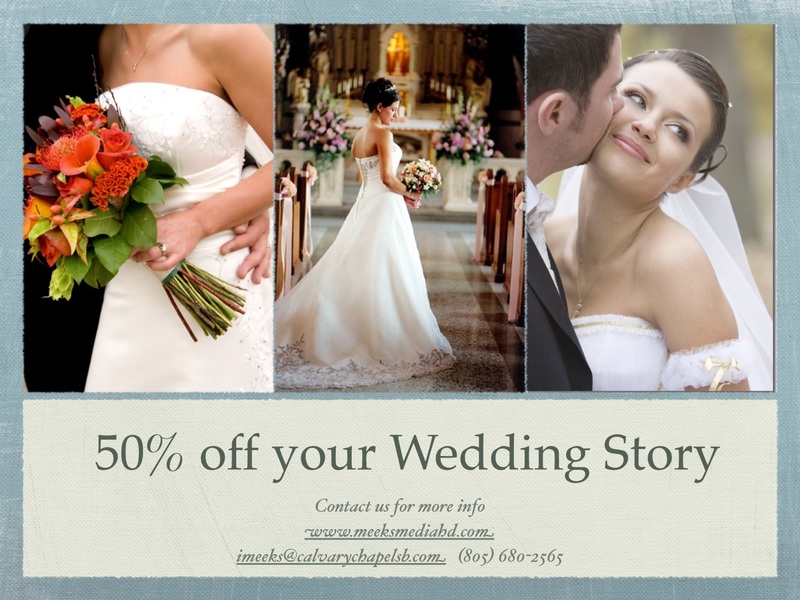 We specialize in Weddings, Anniversaries, since 1987 we've captured many happy moments. We use professioanl broadcast cameras, editing equipment to create an unforgettable DVD that you and your family will cherish for generations to come. Don't skimp on the most important day of your life. We have couples tell us they wished they hired a professional. Why hire a videographer? What is wrong with just a photographer? Although a photographer can capture the beauty and elegance of your wedding, a videographer can capture the story, the moments, the essence. If you want to remember your wedding in its entirety, choose an experienced and well-equipped videographer. Choose Meeks Media HD.